A refrigerator being transported by cart. UNITED NATIONS, Aug 6 2018 (IPS) - The rising heat waves in the world’s middle income and poorer nations are threatening the health and prosperity of about 1.1 billion people, including 470 million in rural areas without access to safe food and medicines, and 630 million in hotter, poor urban slums, with little or no cooling to protect them, according to the latest figures released by the United Nations. At least nine countries, with large populations, face “significant cooling risks”, including India, Bangladesh, Brazil, Pakistan, Nigeria, Indonesia, China, Mozambique and Sudan. Rachel Kyte*, Chief Executive Officer (CEO) and Special Representative to the United Nations Secretary-General for Sustainable Energy for All (SEforALL), says that in a world facing continuously rising temperatures, access to cooling is not a luxury. But rising temperatures – made worse by global warming – is not confined only middle income and poorer nations. In a July 30 piece in the US weekly Time magazine, Justin Worland points out that extreme heat recently melted roads in the UK; hit a record-shattering 120 degrees Fahrenheit in Chino, California; and led more than 70 deaths in Quebec, Canada. “Cooling is probably the biggest energy consumer, and people tend not to think of it,” said Solheim, a former Chair of the Development Assistance Committee (DAC) of the Organization for Economic Cooperation and Development (OECD). Meanwhile, at one time, there were reports that when middle class families, with rising incomes in India, were able to access TV, air conditioners and refrigerators, there were environmental groups that were critical of this because it would add to global warming. But the middle class argued this was never an issue when the rich and privileged luxuriated with air conditioners and refrigerators as part of essential living. She said a new report titled “Chilling Prospects: Providing Sustainable Cooling for All” – released last month– recommends all stakeholders accelerate their innovation efforts and think more holistically about the way we provide cooling, focusing firstly on reducing heat loads and then thinking about how to deliver remaining cooling as affordably and sustainably as possible. Asked if air conditioning and global warming are some of the lingering issues of the UN’s global campaign for ”sustainable energy for all”, Kyte told IPS that achieving both equity and sustainability is one of the reasons this new Chilling Prospects report is so timely and important. “Cooling is not a luxury. It’s a human right and a fundamental issue of equity that underpins the ability of millions to escape poverty and realize the SDG’s’, she noted. 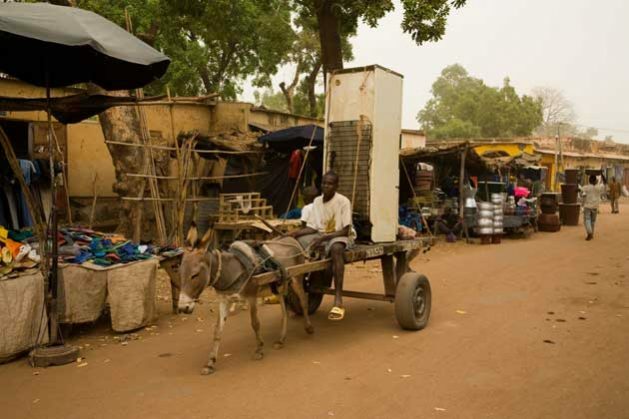 IPS: What is the practical answer to the lack of access to cooling in some of the world’s poorest nations where refrigeration and air conditioning are still luxuries? KYTE: It’s a great question, because practical and sustainable solutions are absolutely crucial to closing gaps in access to cooling, in all countries, but particularly in the developing world. This new Chilling Prospects: Providing Cooling for All report tackles the challenge from several angles, including through some very practically-focused recommendations. For example, the report recommends solutions that address consumer finance, which is a critical requirement for selling sustainable cooling solutions to the rural poor; government financing – governments can make direct investment with public bulk procurements to lower cost and improve efficiency; enterprise financing such as fundraising in the off-grid sector and financing for mini-grids; and then there’s donor funding for concessional financing. Given that products and markets for access to cooling are still poorly defined, grant and highly concessional financing is really important because it can support R&D on innovative technologies, capital for small businesses offering cooling services and financing for low-income consumers. It’s important to note that while there are major threats to life, health, economies and the climate, there are also huge opportunities in closing cooling access gaps: reducing the number of lost work hours, improving the productivity of the workforce, avoiding costs of healthcare for people with food poisoning or who are suffering because their vaccines weren’t stored properly, increasing the incomes of farmers, and increasing the number of jobs available to service a new cool economy. IPS: Is there a role for governments to make these affordable to the poor? if so, how? KYTE: The Chilling Prospects report calls on all stakeholders to embrace a paradigm shift – thinking more holistically about the way we provide cooling – and that definitely includes governments. 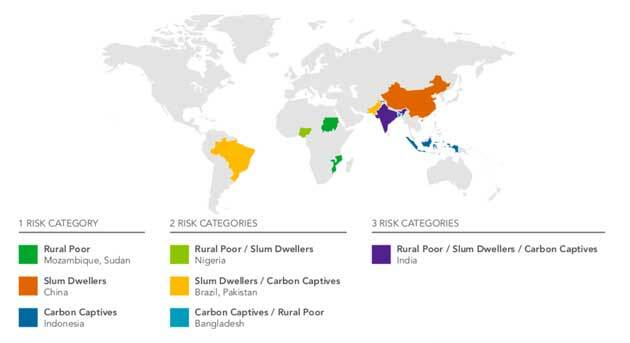 On a practical level, the report includes a recommendation that government policymakers should immediately measure gaps in access to cooling in their own countries, as an evidence base for more proactive and integrated policy-making. More broadly, government policy-makers need to think and act more systematically about pathways to provide sustainable cooling that will benefit communities, economies and current and future generations. One example noted in the report, is a 2017 program in India administered by EESL, which was a joint venture by the Indian Ministry of Power and Public Service Undertakings (PSUs). They used $68 million in public resources for a competitive procurement of 100,000 room air conditioners at efficiencies better than had generally been available in the market. More concerted efforts like these, between governments (national and local) and industry are needed to develop and provide cooling solutions that are affordable and sustainable for all. IPS: In the US, there are public cooling centres for senior citizens when temperatures reach beyond 80 and 90 degrees Fahrenheit? Are there any such facilities for the poor in any of the developing nations? Or should they? KYTE: Ahmedabad in India is a very pertinent example cited in the Chilling Prospects report. It was the first city in South-Asia to formulate a Heat Action Plan after a devastating heat wave hit the city in 2010. Local authorities mapped areas with populations at high risk of heat stress—including slums—and developed an easy-to-understand, early-warning system, as well as a strategy for mobilizing the city in advance of impending heat waves. Their plan uses a well-publicized color-coding system to warn citizens at risk of extreme heat to go to emergency cooling centers. The program has proven its worth. Heat-related casualties in Ahmedabad remained low during a major 2015 heat wave, while thousands tragically died elsewhere across India. Last year, 17 cities and 11 states across India had released or were developing heat action plans. There are also other simple and cost-effective solutions like white-washing rooves or using solar power to drive fans and create a more comfortable and safe living environment for people living in densely packed slums. We need to scale-up today’s most efficient technologies, power them with renewables, and make them affordable for those that need it most. Governments will play essential roles to address cooling access gaps holistically. *Rachel Kyte served until December 2015 as World Bank Group Vice President and Special Envoy for Climate Change, leading the Bank Group’s efforts to campaign for an ambitious agreement at the 21st Convention of the Parties of the UNFCCC (COP 21). She was previously World Bank Vice President for Sustainable Development and was the International Finance Corporation Vice President for Business Advisory Services.